Everybody knows Facebook but not everybody knows how to leverage the enormous traffic available through this immense platform in order to get a great ROI on their offers and promotions. In this guide, you're going to get a full-on education on the most current and most powerful methods and strategies to ramp up your sales and build your brand. Facebook can end up eating your money if you're not careful. You need to be able to optimize your marketing efforts the right way and this guide will show you the way and then some. You will discover step by step how to create a page for marketing purposes, how to create and promote a page post, how to use Ads Manager, how to create an ad campaign, how to create a lead generation campaign, how to use Facebook Live, creating a Remarketing Pixel and campaign, building an audience and much more. You will also see real life case studies and absorb real practical information including tips on what to do and not do as you go forward with your own Facebook marketing campaigns. The name of the game in the online world is sales. That also includes building your brand and Facebook is the right platform to ensure your growth in your market. With over a billion users, there's a goldmine awaiting you. 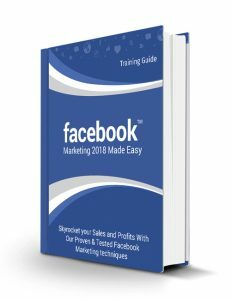 You can also get the Facebook Marketing 2018 Made Easy video series for visual learning. Grab it all now. WarriorPlus is one of the largest online marketplaces for vendors and affiliates in the marketing and business industry to sell and promote their digital products. Not only is it an immensely popular platform but it's growing on a daily basis as more and more marketers discover this monstrous vehicle for selling their products. Affiliates also are on the lookout to find great products to promote. Millions of transactions have been processed throughout the years and many millions of dollars have been generated. There are so many added perks to selling and promoting on WarriorPlus including special daily deals where great products gain added exposure. If you've been on the fence regarding this incredible platform or you're a new marketer wanting to know what the hype is all about, then this pack of 20 videos will get you up to speed and set up in getting your next or first great product up on the WarriorPlus marketplace. With so many thousands of marketers selling their products on this system and with many thousands of affiliates promoting products, this is the number one marketplace for you to be getting your product seen and promoted. With the help of this course, you will become familiar with the WarriorPlus platform and interface, how to set up and configure your account, connecting your Paypal in order to receive payments, how to create products, understanding the differences between products and offers, building your sales funnel, connecting your autoresponder and much much more. Everything you need is right here so grab it now and get acquainted with WarriorPlus. List Building Formula is a comprehensive guide that shows you the way towards building a monster list full of real responsive buyers. Any marketer who's ever been serious about their business will tell you that their biggest asset is the buyer's list they've built over the years. A list isn't merely a list full of people. It's what customers signed up for. It's what customers who bought from you and who trust you were willing to sign up to in order to get information, solutions or products from you. That means they're on that list because they wanted to be there and not by chance. That makes them valuable. And to build a valuable list, you need to give value to build a real responsive list. In this guide, you're going to learn how to move forward towards building your own list. Many of the most successful marketers have sworn that if their entire empire was to go down, the one thing that could ensure their survival is their list. As a matter of fact, there have been marketers who banked tens of thousands of dollars merely from sending out a single email promoting an upcoming launch, resulting in their list members plunking money down in anticipation of the launch. It shows you just how powerful a list can be for your business. This course is built by the very marketers who are killing it in their own business and you're going to learn directly from the elite. You'll discover how to get started, the power of lead magnets, finding the best email provider, creating premium content, developing squeeze pages to capture leads, implementing social media and much more. 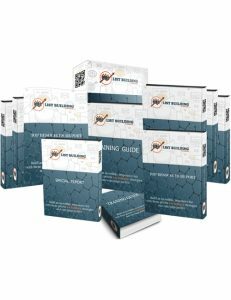 There's over 100 pages of education plus additional material and templates inside this pack to get you rocketing past the finish line. When you're ready, make the download. Instagram is one of the largest and most heavily used websites and social media platforms in the world, boasting hundreds of millions of active users. For many big marketers, that's a lot of money and they're making a killing by targeting and marketing to that base of users. But if you haven't had years of experience nor understand how the big guys are going at it in making Instagram a massive profit stream then this video is for you. If you didn't think making money on Instagram was possible, you're completely wrong. Through the power of affiliate marketing, marketers are laughing to the bank. In this video course, you're going to be educated fully on exactly how the rich are going about it and how you can replicate their efforts. It's not some super secret that's been hidden for years. It's actually a fairly simple process. It's the execution of the process that's challenging for the inexperienced. Fear not because it's all laid out here in this video and you'll be killing it like the big marketers. 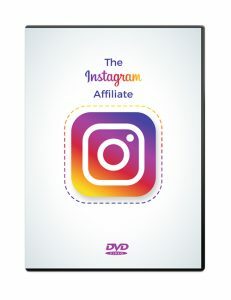 You're going to learn what Instagram is all about, the power of affiliate programs, creating your profile, building your followers, using hashtags, promoting your stuff, creating landing pages and more. Without giving too much away, your next move is to download this video. You won't regret it. Instagram Affiliate is a pretty big deal and now is your time to make Instagram work for you. If you're dreaming of launching a business of your own then Small Business Content Toolkit is definitely one you want to check out. This pack is a treasure chest of content that's sold in the past like hot cakes which you can take for your own audience. You can bundle amazing products for other marketers and launch your own affiliate network. You can create awesome products of your own using the courses, articles, videos etc. Info products are monster business. Don't believe it? Check out ClickBank and JVZoo and see for yourself what's selling. Marketers are making monster bucks from their info products. You have the option of offering coaching and consulting to any number of newbie marketers while building your brand. There are 16 videos included in this pack to help you get your business up and running and ultimately into full flight. You'll learn how to utilize mobile marketing, video marketing, social media marketing and much more. This toolkit is the real deal so if you're serious about finally making the plunge into entrepreneurship then hit the download button now. 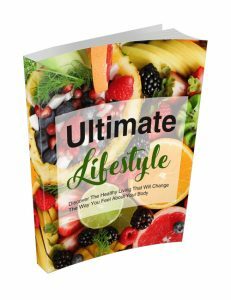 Ultimate Lifestyle - Discover The Healthy Living That Will Change The Way You Feel About Your Body is an eye-opening ebook that gives you a good shake and wake-up call to help you realize that your health comes first and nothing else. We live in a stressful world where it's all go...go...go and we neglect the things that really matter. We strive to be happy in our lives and comfortable with ourselves and our relationships. The real problem is that much of happiness can be attributed to the short term and that includes the things we eat. Even though we know that having a triple thick bowl of chocolate pudding isn't going to benefit us in any way, the deliciousness is too good to resist and sometimes we go back for seconds. But when we step back and take a proper look at what we're putting into our bodies, it can be a scary thing. Of course, moderation is key but without a proper understanding of health and how we live our day to day lives, we might be doing more harm than we're realizing. In this guide you will be educated on how to go about adjusting your routine and patterns that will benefit your health considerably in a positive way. That doesn't mean going from zero to hero but rather, making small changes and having the necessary insight on healthy living so that you'll be self motivated in watching what you eat and making those gradual improvements with time. When you're ready, grab this guide. 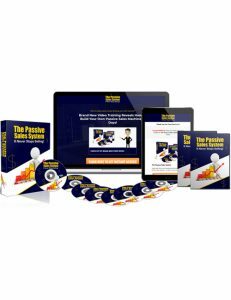 The Passive Sales System - How To Build Your Own Passive Sales Machine is a 3 part webinar-recording from a live training session which teaches the powerful strategy used to build sales systems on autopilot. You can duplicate this same system and build yourself a fantastic business. This course is fit for even those who are just getting started in online marketing. In this course, you'll discover how to get people to spend money, how to insert your offers into your content, how to identify your audience and their needs, how to create enticing offers, how to grow your audience, how to pinpoint and bring in the right audience and much more. Also included in this pack is a professionally crafted and ready to go sales letter to make the selling easier on your end along with video within. It's been proven that customers' buying juices are elevated with video nowadays. Rest assured that no corners have been cut in delivering a real and practical system which you can build with the instructions in this video course. When you're ready, hit the download button. Teach Me How is a comprehensive online marketing home study course with 80+ over the shoulder videos which you can apply to build your own internet empire and alternate revenue streams. Online marketing can be intimidating at first because of the many different directions a newbie marketer is exposed to right from the starting blocks. This can result in a very early case of information overload. With this video classroom at your disposal, you're going to learn everything at your own pace, taught to you in an efficient and simple manner. Across 80 modules, you will learn the 6 most powerful money-making methods today including Affiliate Marketing, List Building, Product Creation, Traffic Generation, Video Marketing, and Freelancing. Each module goes into the nitty gritty and explains what, why, where and how to go about making things work. You have the option to go in the direction that suits your talents or desire. If you have talents in design, writing, proofreading or any number of things, then freelancing might be a great fit for you. If you are an ace at graphics design and writing, you can create your own products while building a powerful list. There are so many options available that have stood the test of time and are exceptionally powerful even today, you'll have the knowledge and confidence to implement whatever business model you choose. 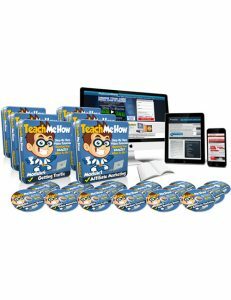 Teach Me How is an incredible education-packed course which will have you up and running before you know it. Get it now.